ON my second trip to New Zealand, I did not take the well-worn paths to Kauri Cliffs and Cape Kidnappers. Instead, I chose to go to Taupo, which is smack-bang in the middle of the North Island, just an hour’s drive from combustible Rotorua where exploding thermal geysers and boiling fumaroles dramatically punctuate the landscape. There, under the warm spring sun, I find a number of world-class golf courses. My first port of call is Wairakei Golf Course and Sanctuary, rated one of New Zealand’s top-3 golf courses. The club’s operations manager and club pro David Park hands me a set of Callaway hire clubs and points me in the direction of the first tee where I meet Dave Kilmister, owner and operator of the Haka Falls River Cruises. He tells me his company is hosting my partner on a river cruise where she will experience the awesome power of the Haka Falls. Later she informs me the Waikato River is one of the longest in New Zealand with water so clean and clear you can almost see the bottom. A jet boat packed with fun-lovers approaches at speed, does a donut and speeds off zigzagging its way toward Haka Falls. “We must do that,” she says. But back to Wairakei Golf Course, which doubles as a wildlife sanctuary. A 5.5km boundary fence (2m high) prevents both climbing and burrowing animals from entering the property where a plethora of birdlife, including Kiwi, a rotund creature with a long beak, and deer roam free. We complete the front nine in about 90 minutes thanks to some accurate tee shots and decent approach shots. The 5853m (white tees) parkland course, redesigned by Peter Thomson and Mike Wolveridge, is a gem. Holes like the 323m, par-4 eighth (white tees) and the 471m par-5 14th, aptly named “the Rogue”, will remain etched in the memory. 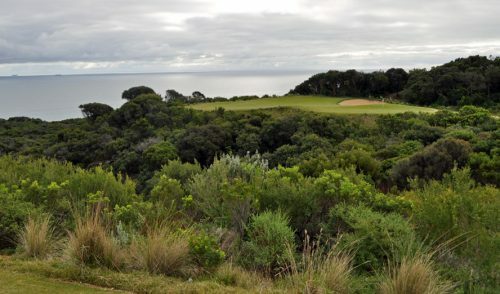 The eighth, which dog-legs right, requires an accurate tee shot as the second shot is across water to the African continent-shaped green protected by bunkers left and right. “The Rogue” is undoubtedly one of the most famous holes in New Zealand. 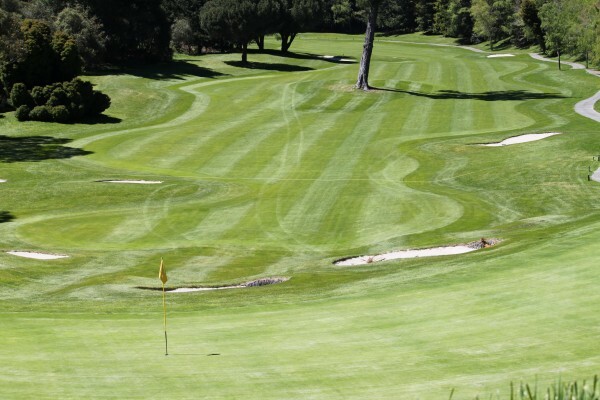 The double dogleg hole is protected by a large pine tree, which stands guard in the middle of the fairway about 150m from the kidney-shaped green that is protected by three front bunkers. Dave and I completed the journey around the tranquil hills of Wairakei in just over three hours and I walked off with the same golf ball I started with – always a bonus when playing a course for the first time. The evening after a near flawless round allows us to experience a Hangi and concert at Wairakei Terraces, the bastion of Maori culture within the Taupo region. We learn about Maori traditions including carving, weaponry, oratory, tattooing and weaving and see the Wairakei Terraces and geothermal features before enjoying a traditional Hangi feast (slow cooked under the ground) and performance. 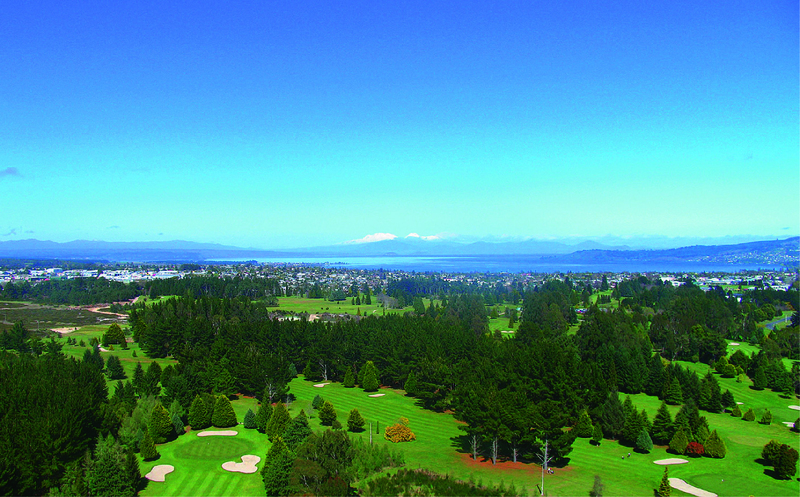 It’s a 20-minute drive to The Kinloch Club – a Jack Nicklaus signature links-style golf course overlooking Lake Taupo. 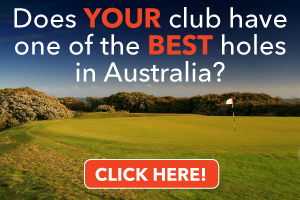 Apparently, Sir Bob Charles has rated it the best course in New Zealand. I have plenty of time as my partner is visiting Orakei Korako, a natural geothermal wonderland, and having a massage at Wairakei Terraces Thermal Health Spa. Proud Scotsman Alistair Tod, who owns one of the finest holiday homes in New Zealand overlooking the third green, joined me. I was pleased he did because his local knowledge around this stunning golf course that flows over rolling countryside with fescue and heather grasses was a Godsend. Of course, director of golf Tom Long’s advice was extremely helpful. 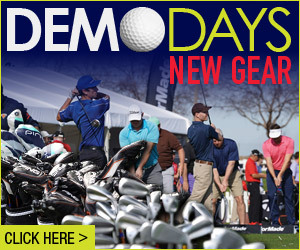 “The only flat lie you will get is on the tee box so it tests the ability to play sloping lies to the max,” he said. “Many of the greens are shallow front to back so if you manage to hit 14 greens or more in regulation you have had a very good knock. 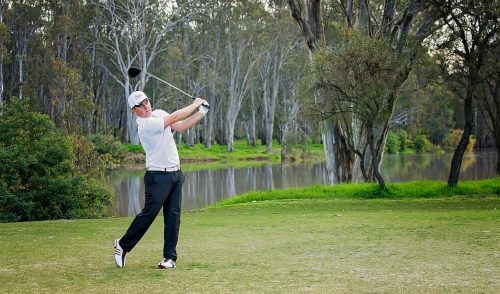 “The greens have heaps of movement in them so thought needs to be given to the approach shot,” he added. Yes, Kinloch quickly shows up a one-dimensional short game. You have to have an array of shots in your bag around the greens. You cannot simply reach for the sand iron when you miss a green. 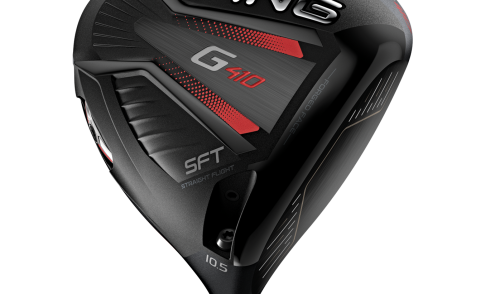 “It will always give you a different game of golf and the more you play it the more tactically savvy you will become,” Tom said. The front nine is a mixture of long and short holes while the back nine is more picturesque with breathtaking views over Lake Taupo. The layout is fantastic. There are no weak holes, just 18 genuine, well-thought-out holes. “Even though it beats most people up first time around we see many faces come back for more punishment,” Tom said. The 521m (481m white tees) par-5 16th is an interesting hole as there are four different routes to the green, which is undulating and has just three logical pin positions. For the record, I only lost one ball so I had a great day and I can’t wait to play it again … and again. After the round, Alistair issued me with a challenge. He took me to his holiday home, Dunalistrair House, and invited me to tell him if I had come across a better “19th hole”. Looking over the course, lake and mountains, I soon ran out of superlatives. “This is magic,” I thought. If there were a championship course that lends itself nicely to hosting a New Zealand Open or PGA Championship, The Kinloch Club would be it. We stayed the night and Alistair and his wife Kirsty cooked up a most delicious supper washed down by some of New Zealand’s best wines, of course. If you want to spoil your partner, make sure you spend a night or two at Dunalistair House. It’s a treasure. Lake Taupo arguably has the purest and most thrilling trout water on earth. It has a surface area of 616sqm, almost as big as Singapore, is 186m deep and more than 30 different rivers feed into the lake. Forty-five centimetres is the keeper rule for a trout and the average size is over two kilograms. Several hours before dusk, we went out on the vast blue lake with Chris Jolly Outdoors fishing and cruising looking for trout more than 35m down. En route skipper Simon Jolly slowed the boat to allow us to view some amazing Maori rock art. Within 30 minutes, I snared my first trout, which was a tad undersize so it was release to fight another day. My partner then pulled in a beauty, which was destined for the frying pan. In New Zealand trout cannot be bought so the only way to taste this delicious fish is to catch it. We hooked and released a few more back into the lake before cruising back as the sun began to set. Early next morning, I was met by Dave who was eager to show me around Taupo Golf Club where he is a member. Taupo Golf Club is the only golf club in New Zealand with two 18-hole courses – Centennial and Tauhara. The Centennial course is the more challenging and plays as an inland links layout with fescue rough while Tauhara is a more relaxed, parkland-style course that is shorter and easier to play. The par-5 fifth on Centennial is not overly long, but it offers a wonderful backdrop of the mountains. Things heat up on the back nine as the course has its own “Amen Corner” – a series of four holes, 13 to 16. We then book in at the five-star Hilton Lake Taupo, which has 113 rooms, 24 apartments, thermally heated pool and spa pool, fitness centre, sauna steam room, tennis courts, meeting rooms and Bistro Lago restaurant and bar. On our final night, we dine at the Vine Eatery and Scenic Cellars, a popular haunt with locals. There, you get to choose your wine off the shelf to enjoy with your meal. The tapas-style eatery offers an abundant menu of fresh, seasonal, delicious plates to share. 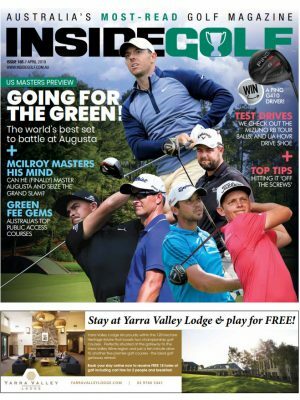 Aside from the spectacular scenery, the nice thing about roaming free around Taupo and Kinloch, a delightful village, is you are always made welcome at golf clubs. I liked the Kinloch Club so much I decided to return for a coffee and to thank professional Tom Long for his hospitality. As I approach, he sees me coming and invites me in to the pro shop where he introduces me to Barry Vivian, the inaugural Australian Masters champion. Barry, a local, still plays and is more than capable of shooting low numbers. We spend the next 30 minutes chin-wagging and I depart with memories of a wonderful Kiwi golfing (and fishing) adventure. At press time, $A1 equalled $NZ1.26. Visit October to April for optimal weather. If you are planning a summer trip, book in advance. Air New Zealand has regular flights from major Australian cities. Sydney residents can fly direct to Rotorua, which is an hour’s drive to Taupo. Navigate your way around New Zealand is part of the appeal. International car rental companies are available at all airports. Bistro Lago at the Hilton Lake Taupo. River cruises: Haka Falls Rivers Cruises.